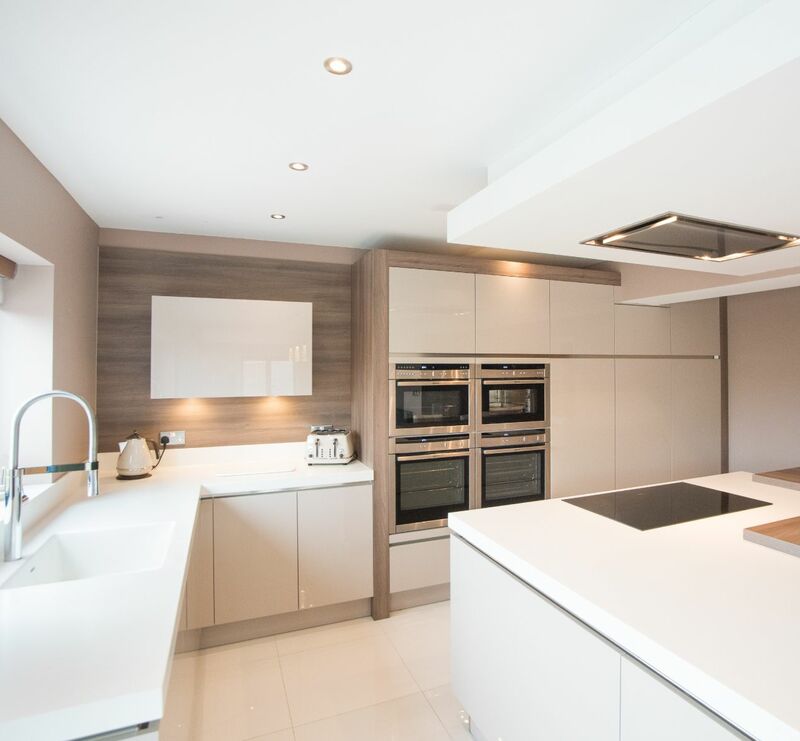 Mr and Mrs Massey dreamed of a brand new kitchen suited to everyday family life – plus a setting perfect for entertaining family and friends. 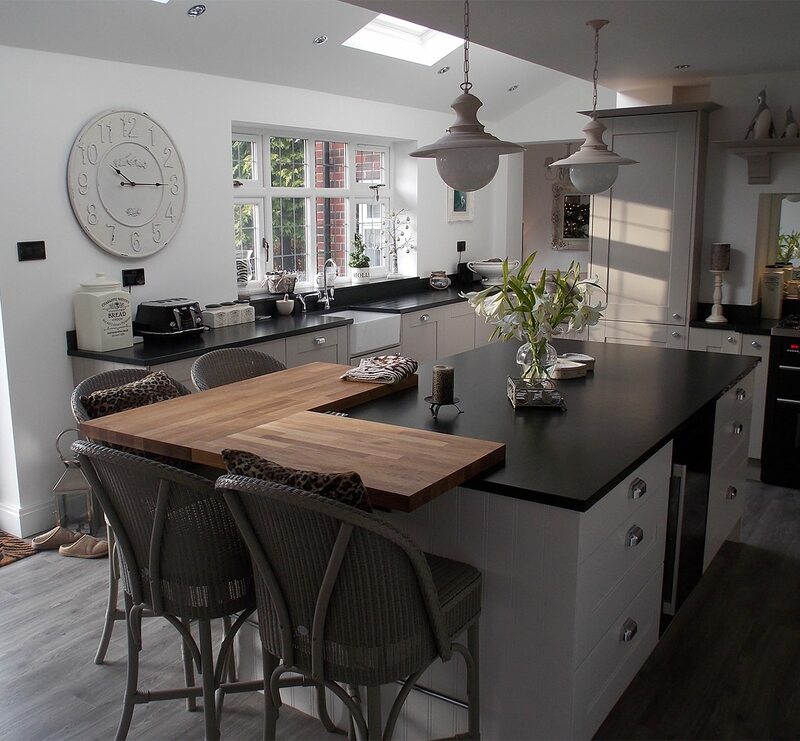 Having just moved home, the Masseys from Stockport were keen to add a personal touch to their new kitchen space. 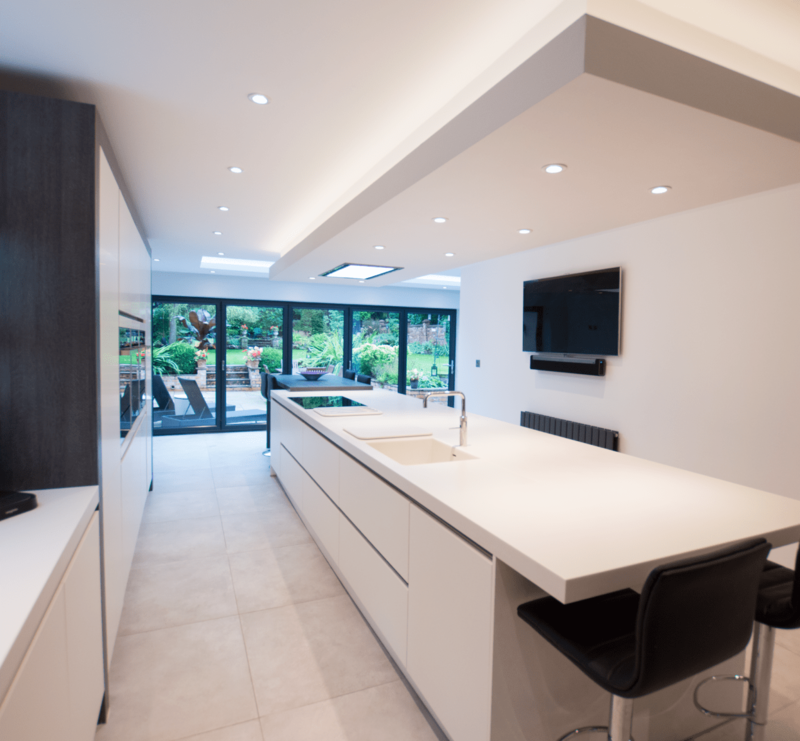 They wanted to extend the kitchen to meet all their day-to-day requirements and transform the space with a designer-inspired kitchen design. 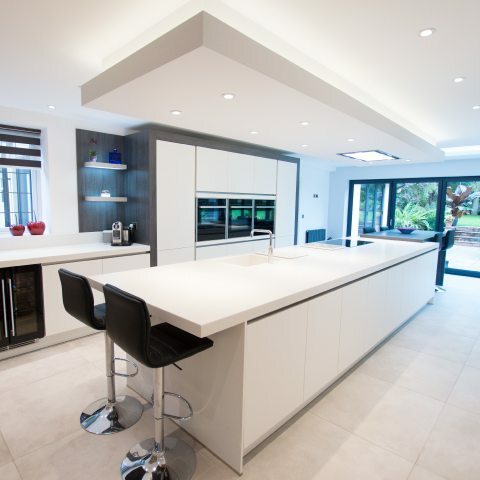 Finding the right team to help them transform their new kitchen in their house in Stockport was easy. 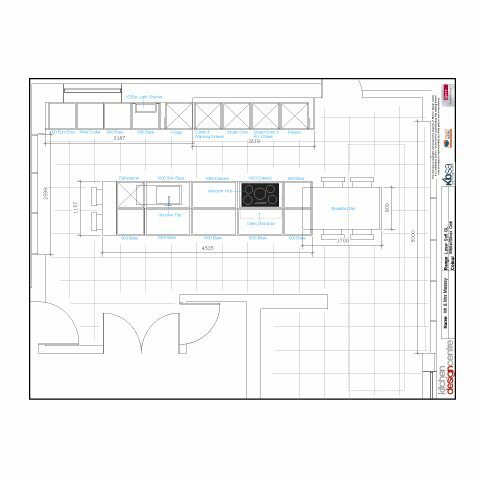 The Masseys were already familiar with Kitchen Design Centre having had them recommended to them a number of times before. 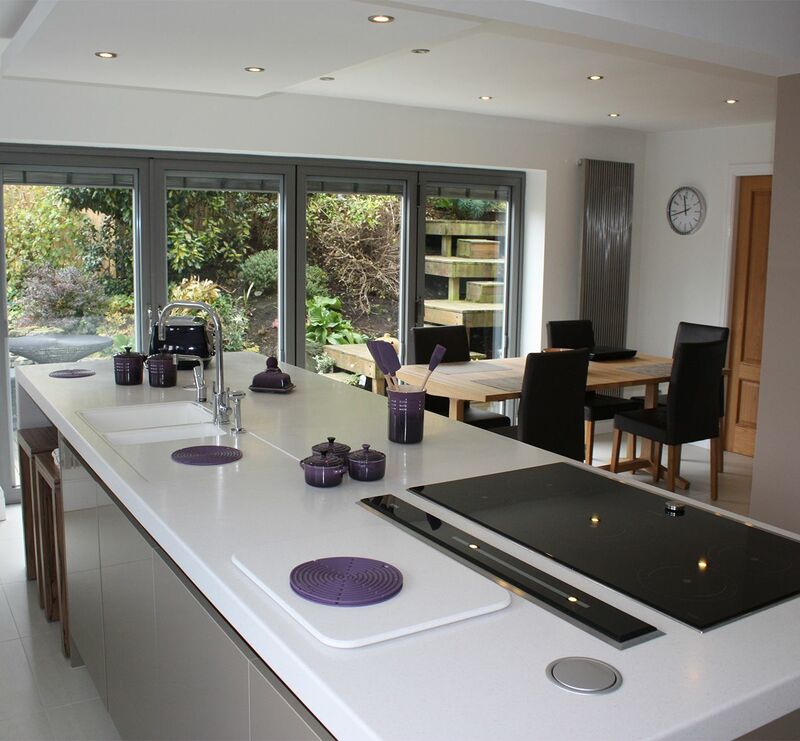 “Our old next door neighbour had a fabulous kitchen designed by the Kitchen Design Centre team,” explains Mrs Massey. 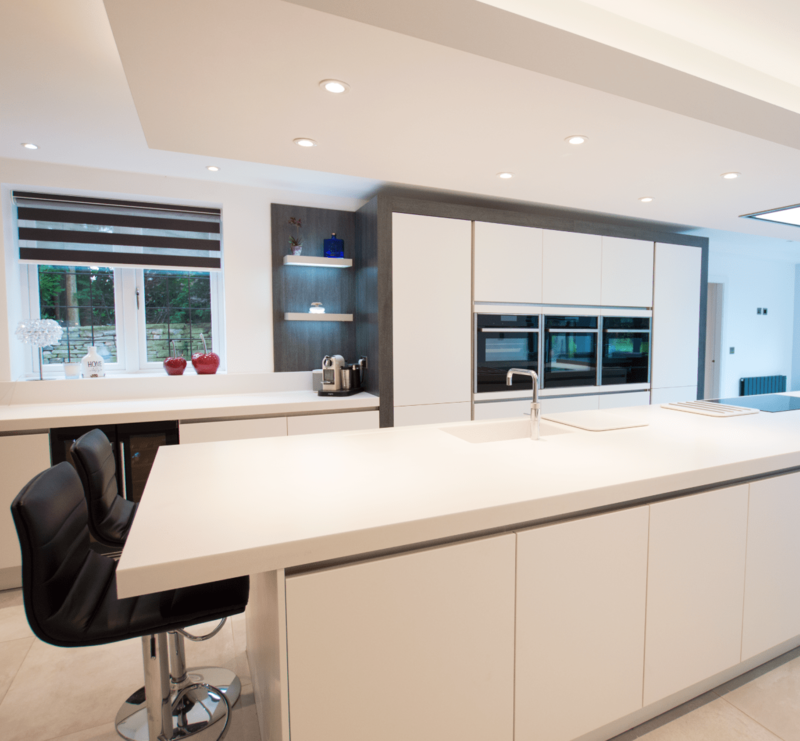 “After seeing their kitchen, we knew we’d choose Kitchen Design Centre whenever we needed a renovation,” she adds. When it came to the final design, the Masseys already had a clear idea of what they wanted in mind. 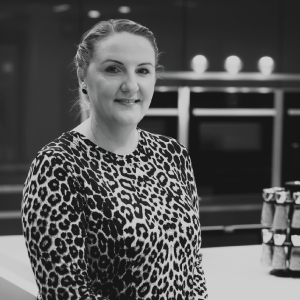 “We could picture our new kitchen and wanted something modern and contemporary,” explains Mrs Massey from Stockport. While brimming with ideas, the couple were thankful for their designer’s input and fantastic design ideas. “Suzanne put forward several ideas that enhanced what we had in mind,” says Mrs Massey. 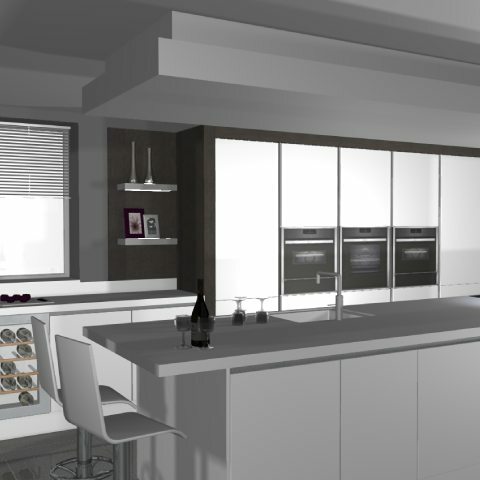 The Massey’s new kitchen was designed in white and silver oak for a contemporary finish. 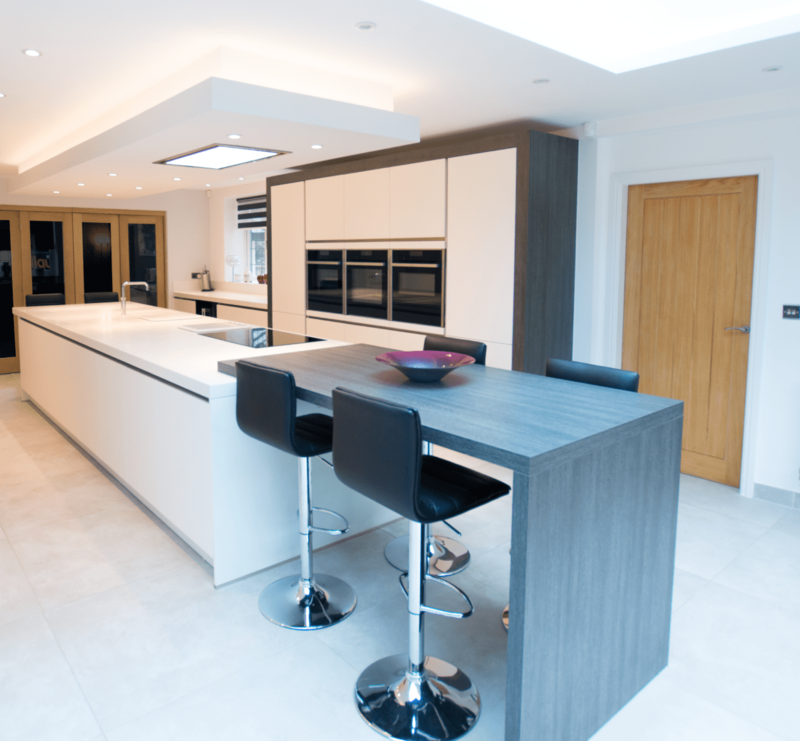 60mm Corian worktops were installed along with matt white handle-less furniture with a silver oak trim. The silver oak added a soft and natural touch to the bright white colour palette, ensuring it didn’t feel too clinical. The oak also added texture and depth, for a sophisticated designer-inspired finish. 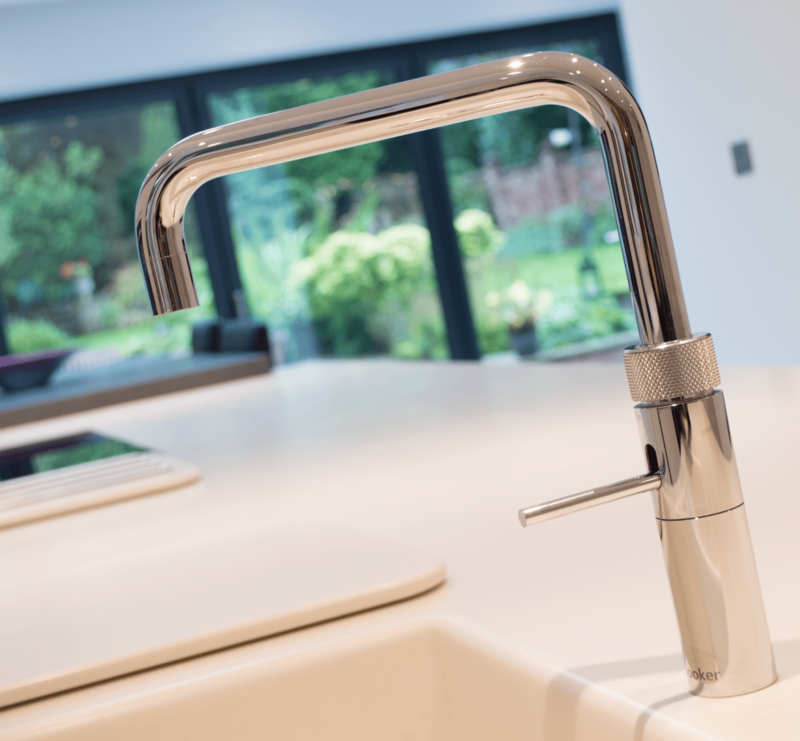 Other features included innovative ceiling detail, an all-in-one Quooker tap – providing hot water in an instant, and a steam oven for delicious family meals. The steam oven was teamed with other Neff appliances including a fridge and freezer, single oven and combi oven, warming drawer, dishwasher, induction hob and ceiling extractor. 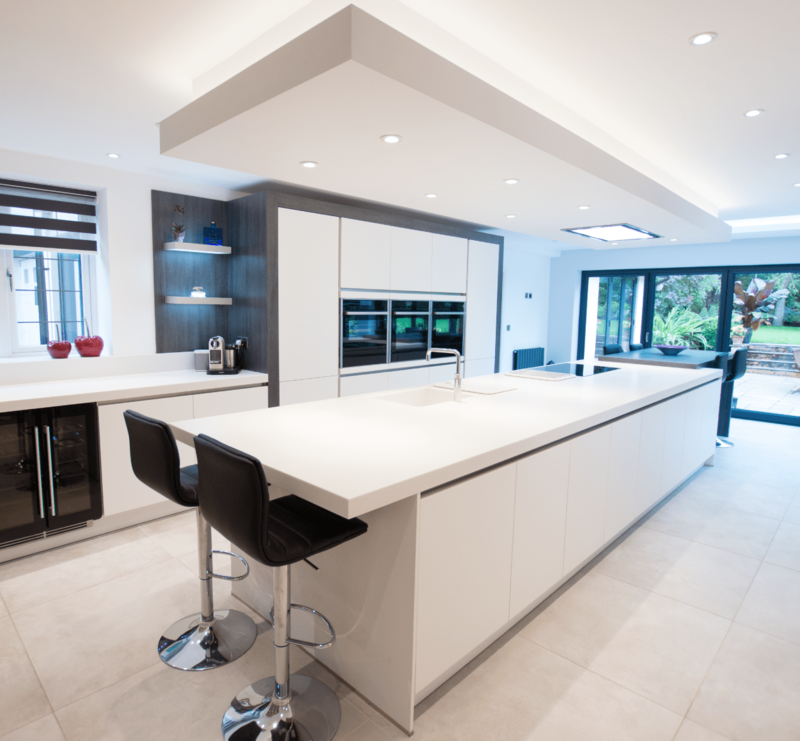 “It was a real pleasure working with the Masseys and completing the full installation of their new kitchen space."